Bearings Inc-South is a family, owned, locally operated industrial distributor of bearings and power transmission products. We have built our reputation on outstanding customer service, quality parts and expert knowledge. Whether you need one part or 100, we will get you the part when you need it, and have a rich history of doing so for over 125 years. Like all companies, Bearings Incorporated South started small with one man, one dream and a little ambition. We’ve come a long way since our founding days, but we’ve never forgotten our roots: Great customer service and pride in our industry. It’s a tradition at Bearings Inc-South which started all the way back with our founder, Jacob Widmeyer, in 1887. Bearings Inc-South got its start in 1887 as a horse shoer and blacksmith shop. Jacob Widmeyer began as an apprentice blacksmith at the tender age of 16 in Washington County, Wisconsin. When he turned 20 he moved to Milwaukee to further his trade. After four years as a journeyman, Widmeyer decided to go into business for himself. In 1887 he opened J. Widmeyer & Co., which grew to be the largest horse shoeing business in the Northwest. In 1918, the automobile was fast replacing the horse and buggy as the main mode of transportation. 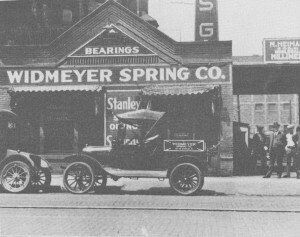 J. Widmeyer & Co. adapted to become an auto springs and bearings supplier, and the company name changed accordingly to the Widmeyer Auto Spring and Bearing Co. 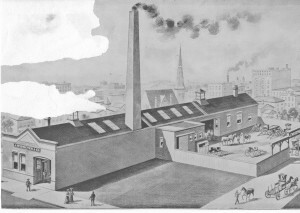 This company was one of the few to successfully make the change from horse and buggy to the automobile. 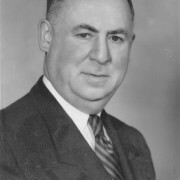 William Farrell and his wife, Widmeyer’s then secretary Mae Williams Farrell, became president of the company in May 1941 before Widmeyer’s death. Farrell’s reign as president saw the company grow into a bearing specialty house. 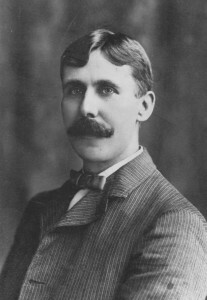 He changed the name of the company to its present name, Bearings Incorporated, and dropped auto spring sales to concentrate on the industrial bearing trade – a field he saw was lacking expertise. Bearings sales, knowledge, and expertise is still the heart of our business today. 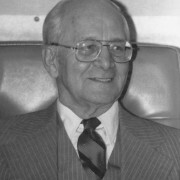 John H. “Jack” Schliesleder began working for the company as a delivery boy while Widmeyer was still president. He worked his way up to a salesman for Farrell and soon acquired stock in the company. In March 1958, a few months after Farrell’s death, Schliesleder was elected president. Schliesleder led Bearings Inc. by the motto “If we don’t have it, we can get it for you” which still holds true today. 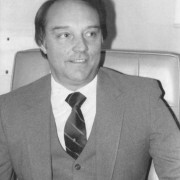 Kenneth B. Gardner, then Bearings Inc vice president, went into a joint venture with Jack Schliesleder and opened our current store in Oak Creek, Wisconsin in May 1984. Our name changed to the now familiar Bearings Incorporated-South. In 1994, we opened a second location in Elkhorn, Wisconsin. Today Bearings Incorporated-South is operated by two of Gardner’s sons, Ken II and Kraig Gardner. Together they have kept the main focus of quality customer service at the forefront of our business. We still adhere to the traditions of our past while embracing new ways of serving our customers better, faster, and more efficiently.